There’s a CBC Radio secret that night people in Canada know about. 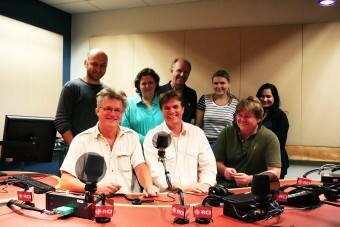 Radio Canada International’s The Link, produced in Montreal, airs from 2 to 3 a.m. Monday to Friday on CBC Radio One. It is available in podcasts, but is not replayed in any other time slot, unlike all other programmes on CBC Radio these days. I’ve thought that it was unfortunate that the show is not better publicized. Yet, at the same time, I liked having this listening pleasure shared only with what I imagined to be a select few insomniacs, night people and graveyard shift workers. You get to know some of them through their letters, voice messages and emails – from Canada, England, Sweden and elsewhere. Yes, it’s RCI so it broadcasts on short wave and satellite. You could call it the Voice of Canada Around the World. As of June, that Voice will be silenced. That includes The Link and all other RCI radio programming. 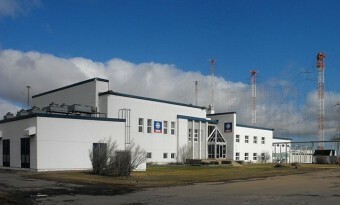 CBC’s first act after the 10% funding cut in Harper’s 2012 budget was to cut RCI. Instead of radio programmes, the skeleton that remains of RCI will create web-based programming. That’s fine for thems in Africa and Asia and elsewhere that have internet access. Not so good for the many who have only a transistor radio with shortwave capacity. Oh well, they’ll still have Radio Netherlands, Radio Australia, Radio Sweden, Deutsche Welle, Voice of America, BBC World Service and every other country’s international broadcasting to listen to. But they won’t hear from Canada. You don’t have to be outside Canada to enjoy The Link. But because it is produced with an overseas audience in mind, you learn a lot about parts of our country and society not covered by other Canadian media. 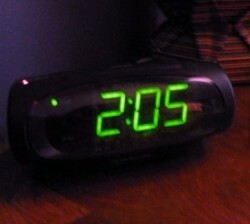 Until June 2011, it was 2 hours nightly. A drop in revenue shortened it. The new format cut one of my favourite features. ESL teachers who presented common linguistic errors or grammatical anomalies for non-native English speakers. Even being a native speaker, I found them fun and indeed helpful. The sports report continued, thank heavens. Whether it’s Ian Jones or Terry Haig in the studio, you get 5 very funny minutes packed with information on sports rarely covered by other Canadian broadcasts. Ones like soccer, cricket, rugby and cross-country skiing. You don’t even have to actually like cricket to like their reports on it. They also give interesting takes on hockey and other mainstream Canadian sports and athletes. Besides Stephen Colbert’s ‘spor repor’, The Link’s is the only sports news that I want to hear. Another great segment is the Friday visits by Raymond Desmarteau, host of RCI’s French-language Tam-tam Canada. He shares the music of a French-Canadian artist with the Anglophone audience of The Link. In turn, The Link’s host Marc Montgomery visits Desmarteau’s programme to introduce an English-Canadian musician to Francophone listeners. Only in Canada, eh? As of June 26th, it won’t be in Canada or anywhere else. Truly a pity.